Sea World RV Vacations - RV Rentals Dallas - Southwest RV Rentals - Luxury RV Rentals in Dallas - Ft. Worth with Unlimited Mileage! Get the family and let's head out to SeaWorld! An Adventure Park filled with Excitement and Wonders within the Ocean! Forget a car ride and hotel stay, SeaWorld areas are perfect for RV's, and our Lavish RV's are nicer than what one might find in a highway hotel. 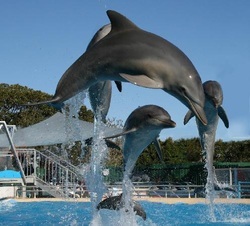 No matter if your headed to SeaWorld San Antonio, SeaWorld Orlando, or SeaWorld San Diego, Soutwest RV Rentals will get you there safely and securely. In fact, we can even offer helpful tips on where to stay along the way. SeaWorld is an amazing place to take the family, filled with Orcas, Dolphins, Sharks, and Marine life of all kinds. Don't forget to pet and feed the Manta Rays while you are there! A SeaWorld Vacation begins by budgeting properly, and Southwest RV Rentals can help. Our Luxurious RV fleet are set at very Competitive prices. Also, we do not charge for Generator Fees and you have Unlimited Mileage - This way you have no need to worry about making that spur-of-the-moment detour. Feel free to call us to help plan your transportation to SeaWorld during your next Vacation time.